Not a substitute for medical advice. Always consult your physician! Our website aims to gather and share knowledge about acquired brain injury. Information on our website is not, and can never be, a substitute for a personal medical advice or a treatment by a physician or a neuropsychologist. We have indicated to Google that we want no offensive signs, no sexual ads, no gambling ads or spiritual / paranormal / astrological or alternative medicine commercials and the like. If this happens, we request you to send us the URL (web address) of the advertiser. We will then immediately block it. Thank you. NB! Do not click on the ad itself, but right-click and select Copy Link Address. Send the link address to our mailadress: braininjuryx@gmail.com. Then we can take action. It is only allowed to reproduce text from our website www.braininjury-explanation.com with acknowledgment by a direct link © and never more than a paragraph. At the end of that paragraph place a link to us under "Read more ..."
If you copy a whole page you risk a fine of Google ... This is the policy of Google. 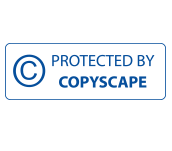 We are protected by Copyscape. It is not allowed to use our logo or the name 'Braininjury-explanation'. Our motto is: Increase knowledge and share it. By collaborating we get it done. The help function in the menu bar of most browsers shows you how to close your browser accepting new cookies, how your browser can signal itself when you receive a new cookie or how to delete all existing cookies.